Gain experience and build a diverse resume in the Musical Theatre programs at Columbia College Chicago. Our programs are designed to help you succeed in a competitive industry by fostering concrete professional skills with a variety of performance experiences. As a Musical Theatre major, you’ll receive the education you’ll need to become a multifaceted performer and theatre professional. We stage 40 productions a year, and encourage new students to audition right away for musicals and nonmusical productions. Many Columbia Musical Theatre majors perform in student films, devised productions, and off-campus productions. You’ll become adept at auditioning, learn about the business side of theatre, and develop transferable skills applicable to many professions. Columbia College Chicago offers two degrees in musical theatre. No matter which degree you choose, you’ll have opportunities to audition and perform often. We welcome all students to audition for shows. The Bachelor of Arts (BA) offers fundamental performance training in acting, singing, and dancing, and gives you enough electives to choose a minor or explore an additional area of study. View courses and requirements for the BA degree. The Bachelor of Fine Arts (BFA) is a selective program that trains students for professional performance careers. The BFA requires more advanced courses in acting, singing, and dancing than the BA does. You’ll study advanced audition techniques and immerse yourself in a year-long capstone class that will explore repertoire and refine your multidisciplinary talents. BFA students participate in the Senior Showcase for industry professionals. All students enter Columbia as BA students and may audition for the BFA program their first year. View courses and requirements for the BFA degree. Columbia proudly features Mainstage, a series of productions directed by faculty members. Outside the Mainstage season, students write, direct, and stage their own work, which they refine in workshops with faculty, alumni, and peers. Explore our current and past Mainstage productions. You’ll learn how to create credible characters through research, rehearsal, and text analysis. You’ll also learn how to bring characters to life onstage as an actor, singer, and dancer. You’ll take a series of acting-styles classes and work with musical theatre professionals to learn proper singing techniques, different dance styles (ballet, jazz, tap, and musical theatre), and various methods for interpreting songs. You’ll take foundational courses in musical theatre repertory and history, and learn how to analyze performances. These courses will inform your performance skills and contextualize artistic trends and markets. You’ll take professionalism and auditioning classes that will teach you about contracts, unions, and bookkeeping for performers, and help you build your audition repertoire. In these courses, you’ll also learn how to interact with theatre companies, talent agencies, and casting directors. You’ll have the opportunity to develop your unique artistic voice as it relates to diverse identities, cultural worldviews, and institutional frameworks. Chicago is home to a vibrant theatre community. 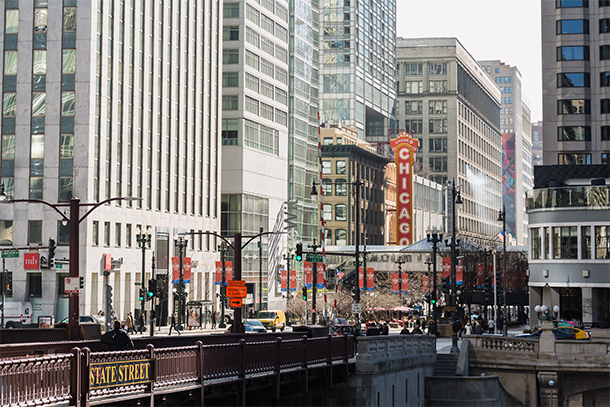 You’ll see productions in Chicago’s theatre district, located just down the street from campus. Chicago is also home to innovative storefront theaters. 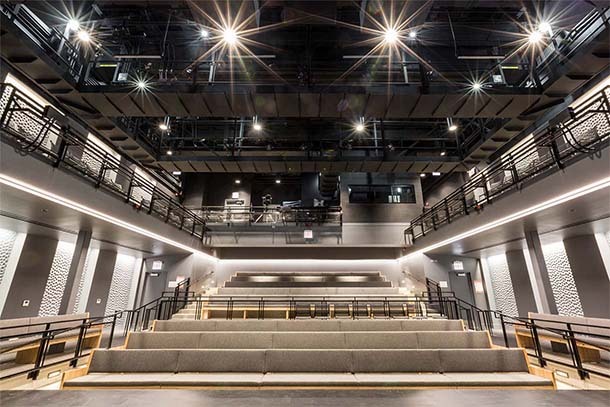 Our faculty’s strong connection to the Chicago and national theatre scene means we continually build opportunities for students. Through their working relationships with faculty members, some students even land professional jobs during their time at Columbia College Chicago. Columbia faculty members do what they teach. 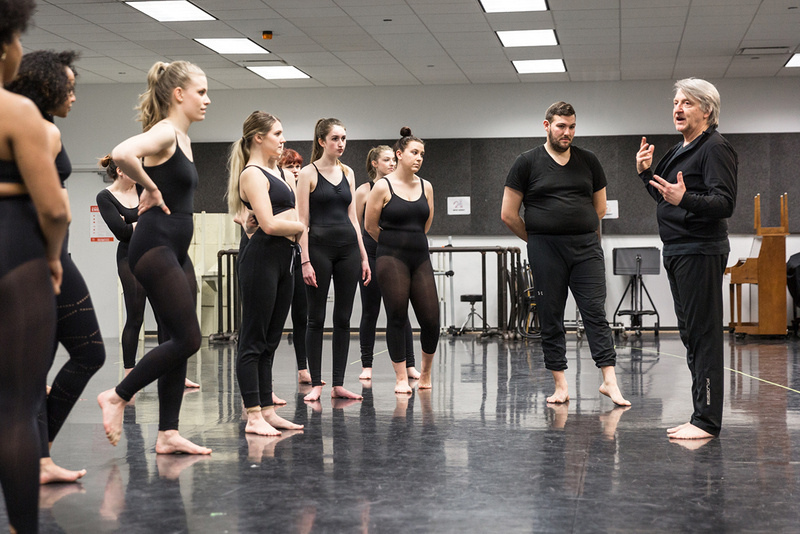 You’ll study with professional actors, writers, directors, choreographers, and designers who work in Chicago and New York, across the country and abroad. 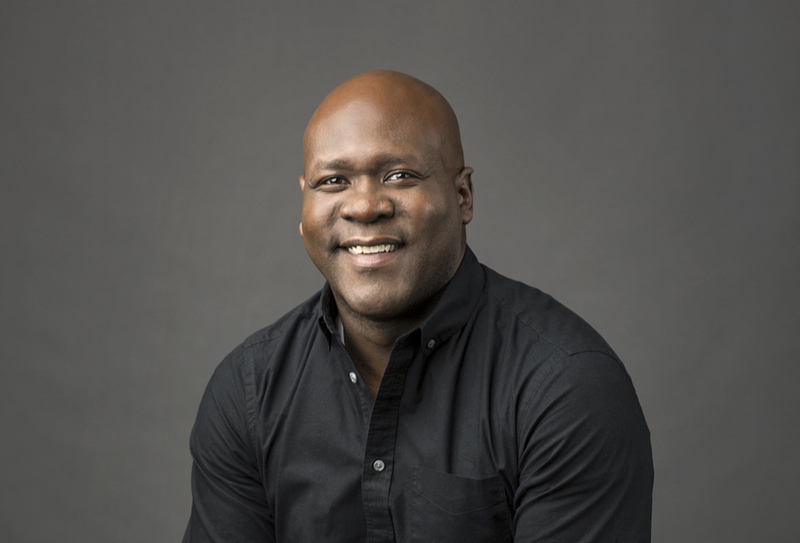 Justin Brill is a director and performer who has worked all over the country on Broadway (All Shook Up, Rent, High Fidelity), national tours (Wicked, Beauty and the Beast), Las Vegas (Monty Python’s Spamalot, Mamma Mia!) as well as Madison Square Garden’s A Christmas Carol and the world famous Metropolitan Opera. Erin Crouch performed on Broadway in the revival of 42nd Street, and in the first national Broadway touring company of The Producers. She also spent several years as an associate casting director, a choreographer, and company director. Jermaine Hill music directed for Memphis (Porchlight Music Theatre), Ragtime (Griffin Theatre), Madagascar: A Musical Adventure (Chicago Shakespeare Theatre), The Gefilte Fish Chronicles (Chicago Musical Theatre Festival), Bonnie & Clyde (Actors Training Center), and Godspell (Actors Training Center). He provided vocal arrangements and orchestrations for Barney: The Elf (The Other Theatre Company). He was also featured on Chicago Med (NBC). He earned a Master of Music from the New England Conservatory of Music. Amy Uhl works as a director/choreographer. She was the associate director for the national tour of Amazing Grace (directed by Gabriel Barre and choreographed by Christopher Gattelli), and also assisted the directing team for Broadway in Chicago productions. Additional Chicago and regional credits include Little Shop of Horrors (Street Tempo), Oh Boy! (City Lit), HMS Pinafore (Savoyaires), A Chorus Line (Union County Arts Center), Guys & Dolls (starring Eddie Mekka), and Bye Bye Birdie (starring Priscilla Lopez). She has also been part of the hair and makeup teams for the following Broadway companies: Disney’s Beauty and the Beast, All Shook Up, Little Women (starring Sutton Foster), 42nd Street (starring Shirley Jones), Dracula, Sly Fox (starring Richard Dreyfuss), and Spamalot. 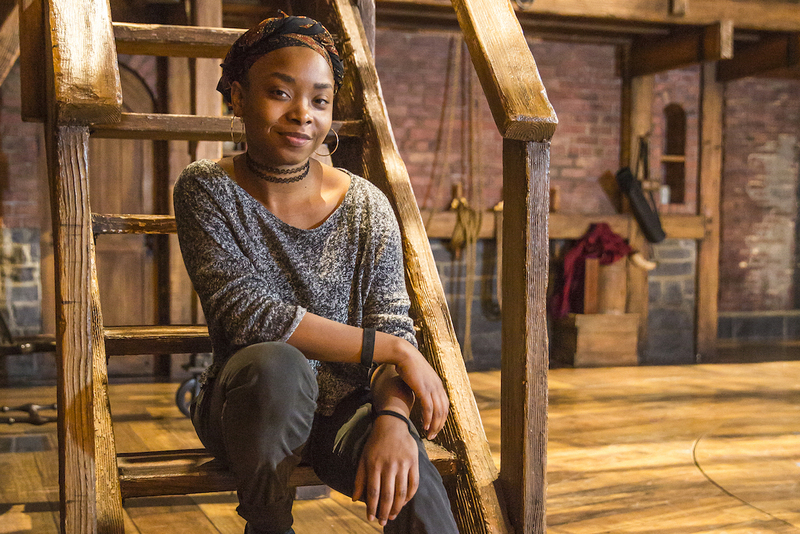 Michael George ’17 performs as a swing, or understudy, for the Chicago production of the musical Hamilton. Harter Clingman ’11 was cast as one of the lead players (Oz) in the first Broadway national tour of the hit musical Come From Away. Michael Kurowski ’16 performed in the national touring company of the Tony Award-winning musical Once. Courtney Mack ’15 won a Joseph Jefferson Award for best actress in Heathers: The Musical, and has had roles in Million Dollar Quartet and Mamma Mia! (The Paramount Theatre), Side Show (Porchlight Music Theatre), Cabaret, and Urinetown. Mallory Maedke ’14 was in the 50th anniversary production of Hair at Chicago’s Mercury Theater. She also had roles in The Little Mermaid and Hairspray at The Paramount Theatre. 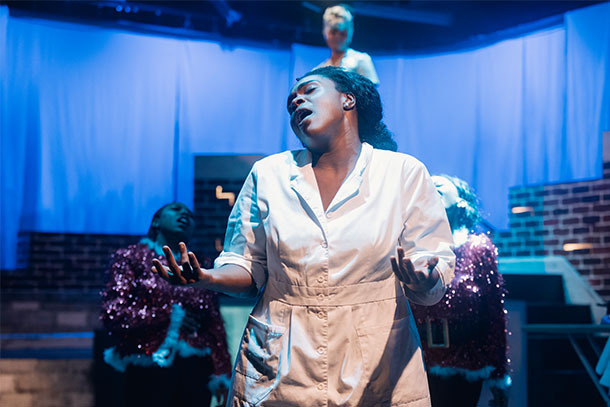 Shantel Cribbs ’17 and Louis Ridis ’17 were accepted into the Musical Theatre Dance program at the prestigious School at Jacob’s Pillow, and were featured in Memphis at Porchlight Music Theatre and in Marie Christine at BoHo. Ashley Mondisa ’14 founded theatre company Mondisa Monde Productions. She wrote, directed, produced, and arranged Black Vs. All, which premiered at Gorilla Tango Theatre. Callie Johnson ’12 won the Joseph Jefferson Award for Pal Joey at Porchlight Music Theatre, and has played roles at Drury Lane, Marriot Lincolnshire, and Writer’s Theatre. She has also appeared in Chicago P.D. and Chicago Med. Harter Clingman ’11 played Alf in the national tour of Peter and the Star Catcher, and has been featured in major theaters around Chicago. He also performed in South Pacific at Drury Lane Theatre. In 2018, he was cast in one of the lead roles in the first Broadway national tour of hit musical Come From Away. Check out The Green Room for the latest alumni updates.